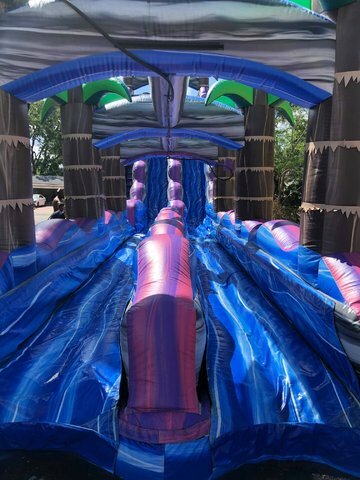 Our Slip 'N' Splash Purple 2 Lane Slide is a feast for the eyes. You won't find a more beautiful Slip 'N' Splash anywhere. This unit is 35' feet of watery fun. Riders scream down their own separate lanes until landing in the attached 9' long pool!